It is election season. The mid term elections have never been more important than this year, whether for governor or state representative. While I always vote in elections, this year I have chosen to get engaged a bit deeper. In part this is due to the challenges facing our nation and the state in which I live. Issues like immigration and education -- and the roads -- require our attention. We have a President, who I believe simply doesn't understand the principles of American democracy. So, we have to challenge that fear-based vision by electing people who offer a different vision. This year one of my really good friends and partners in interfaith work is running for state representative in the 41st district of Michigan. 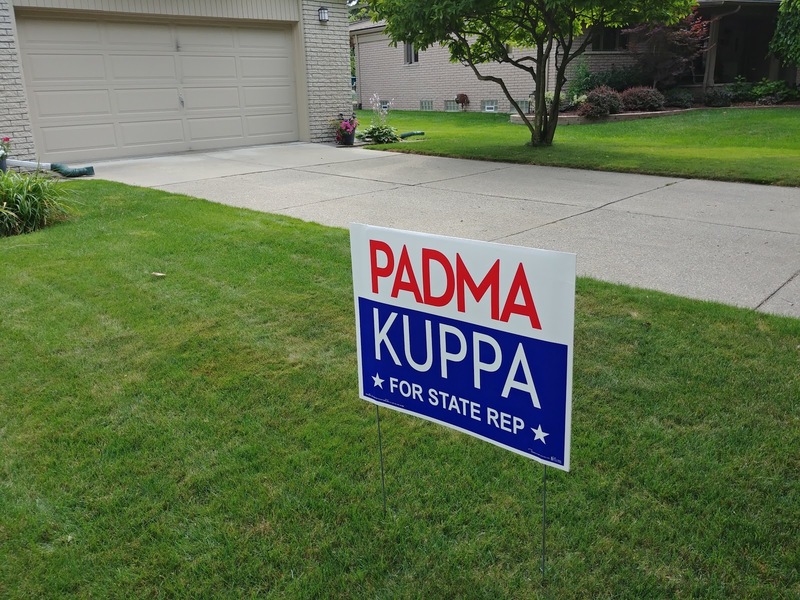 I believe that Padma Kuppa has the ability to listen and represent our community. She's not a politician (and I don't believe that being a politician is a bad thing), who feels so strongly about issues like education and immigration (being an immigrant herself), that she can't stay on the sidelines. Below is a brief video shot while Padma and I were out knocking on doors in Troy. Take a listen and if you live in Michigan, go vote on August 7. 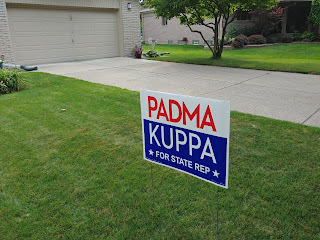 If you live in Troy and Clawson, vote for Padma. For those who might wonder about a mixture of church and state here, I make this endorsement as a private citizen. 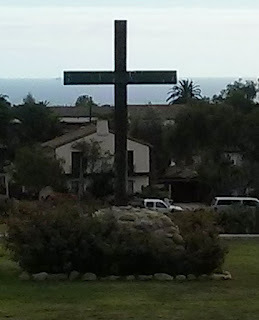 The mention of the church in the video is for identification purposes only and doesn't carry the church's endorsement. It's just me!